MISSISSAUGA, ON, April 5, 2019 /PRNewswire/ -Maple Leaf Foods Inc. ("Maple Leaf Foods" or the "Company") (TSX: MFI) today announced that the Honourable David L. Emerson, Chair of the Board has decided to retire from the Board of Directors as of the upcoming Annual and Special General Meeting to be held on May 2, 2019 (the "Meeting"). Mr. Emerson was appointed Chair of Maple Leaf Foods immediately after he was first elected to the Board of Directors in May 2012, bringing with him extensive experience in Canada's public and private sectors, including his roles with the Government of Canada as Minister of Foreign Affairs, Minister of International Trade, and Minister of Industry. "David joined the Board at a critical juncture in the Company's development," said Mr. Michael McCain, President and CEO. "He led the Board's oversight of the successful completion of Maple Leaf's prepared meats business supply chain transformation, as well as the reorganization of our business operations, including the divestiture of our rendering operations and bakery industry investments. My fellow directors and I have the highest regard for David's leadership and are honoured to have served with him." With Mr. Emerson's decision to retire, Maple Leaf Foods is putting forward the remaining nine incumbent directors for re-election to the Board of Directors at the Meeting. Immediately after the Meeting, the Board anticipates appointing Mr. W. Geoffrey Beattie as Chair of the Board. "In anticipation of my retirement from the Board, the directors considered succession for the position of Chair and determined Mr. Beattie's combination of experience, leadership and knowledge of the Company make him an excellent choice," said Mr. Emerson. Mr. Beattie, who has served on the Board of Maple Leaf Foods for the last 10 years, is Chief Executive Officer of Generation Capital and Chair of Relay Ventures. He is also a Director of the General Electric Company, Baker Hughes, a GE Company and Fiera Capital Corporation, and was previously a Director of Royal Bank of Canada and Acasta Enterprises Inc. Mr. Beattie previously served as Chief Executive Officer of The Woodbridge Company Limited from 1998 through 2012. Prior to that, Mr. Beattie was a partner in the Toronto office of the law firm Torys LLP and was a Vice President at Wood Gundy from 1987 to 1990. Shareholders will vote for the election of directors at the Meeting. Maple Leaf Foods will also be continuing to advance its Board succession process under the direction of the Compensation and Governance Committee, including the identification and recruitment of additional outstanding candidates to join the Board. For further information, shareholders are encouraged to read the 2019 Management Proxy Circular which will be available on SEDAR and under the Investors section at www.mapleleaffoods.com. About Maple Leaf Foods Inc. 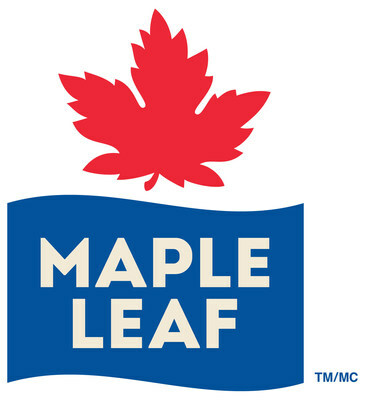 Maple Leaf Foods Inc. ("Maple Leaf Foods") is a producer of food products under leading brands including Maple Leaf®, Maple Leaf Prime®, Maple Leaf Natural Selections®, Schneiders®, Schneiders® Country Naturals®, Mina®, Greenfield Natural Meat Co.™, Lightlife™, Field Roast Grain Meat Co.™ and Swift®. Maple Leaf Foods employs approximately 12,000 people and does business in Canada, the U.S. and Asia. The Company is headquartered in Mississauga, Ontario, and its shares trade on the Toronto Stock Exchange (MFI).